Stratego® Official Battle Cards from Jumbo is all about good tactics, strategy and cold hard bluff, a combination of chess and poker. 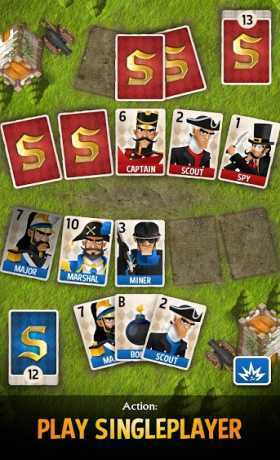 The Strategy battle game that has been played by millions of card and board game players and is now available for your Android device. This official battlecards Stratego comes with an AI opponent that is adjustable to match your skills. Play as many battles card games as you like. Defeat the enemy with al the original rules or the special single card rule. Play as many Stratego card games as you like. You have to play tactical with a great defense or attack plan. A Stratego engine to challenge beginners and veteran commanders alike. Refine tactics and watch how the enemy falls for your ultimate strategic bluff! Make sure you defend your flag, as opponents will send their army cards to capture it! 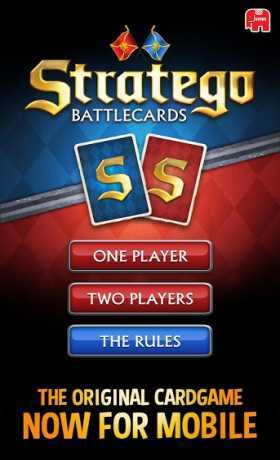 • Play offline Stratego any time and everywhere, no internet required for this Strategy game! No live internet connection is needed to play a thrilling game of Jumbo’s Stratego. So you can just play offline anywhere you want! Don’t wait for human players that don’t respond or quit the game halfway through. No internet, just like the official cardgame, but more fun and challenging battles than any other multiplayer defense game online. This is a unique version that will give you the experience of the analog card game but without the hassle of bringing the cards, dealing them and putting them back in the board game closet. Just pick your device, fire up the app and go! Set the engine to the mode that suits your strategic skills best. Are you a beginner or can you handle the clash in the star mode for true warfare leaders. This Stratego game also has a great tutorial that will teach Stratego and will help to improve tactical skills. Are you a strategic player? Do you like card games and tower defense games? Interested in real time war games? You’ll love Stratego! Defend your Flag and don’t hesitate any longer. 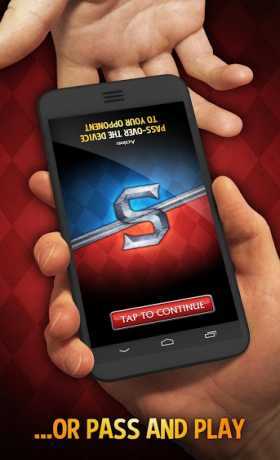 Download and Install NOW and prove your battle and strategy skills with Stratego® Battle Cards! Please contact Youda at support@youdagames.com if you have any issues or suggestions, we would love to help!